A multi-disciplined management, operations and advisory team with over 130 years of aggregate experience in Sierra Leone, plus another 50 years in aggregate Pan African work, has assembled through the formation of Sierra Agra Inc. to address the post-Ebola challenges that are crippling Sierra Leone, which prior to 2014 had one of the leading economic growth trends on the African continent. Through the years, the men and women of Siera Agra have forged deep commercial and philanthropic relationships and friendships with hundreds of Sierra Leoneans, from previous President Koroma and his staff at Statehouse, to various natural resource, finance and agricultural ministries, to Paramount Chiefs, elders and community leaders in multiple chiefdoms. Mr. Gorman has over 40 years of experience in natural resource exploration and finance, with over 25 years in nine countries in North and West Africa and in Madagascar. From 2009 through 2016, he served as Chief Financial Advisor to Taia Lion Resources and Advisor to Taia Peace Foundation in Sierra Leone. He holds a BBA in Finance from The University of Texas at Austin. He will serve in the Office of Chief Executive. Mr. Watson has worked in Sierra Leone during the past eleven years in mining, and has been instrumental in improving CSR standards in that sector. He was responsible for securing over $15,000,000 in investment in the country through Tiffany & Company for a funding in Target Resources, as well as various community projects. Mr. Watson will serve in the Office of Chief Executive. 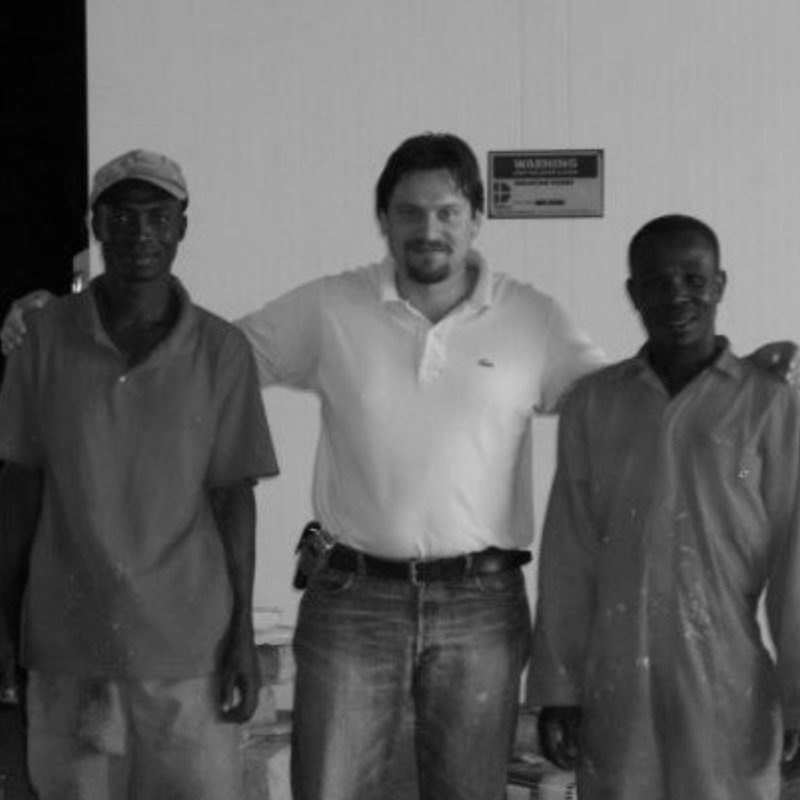 A native Sierra Leonean with 35 years’ experience in the private sector in Sierra Leone. A graduate from Njala University, Abu’s operational skills span across multiple industries such as mining, construction, trading and investments. Mr. Gaojia is a native Sierra Leonean and a former Minister of Social Welfare, Gender and Children’s Affairs. During the Ebola crisis of 2014-15, he served as the COO of the National Ebola Response Center and has worked with the Integrated Health Projects Administration Unit. A well-respected businessman and public servant, he will act as Sierra Agra’s liaison for with all levels of government and community leaders and will advise Sierra Agra on its continuing business and social impact strategies. Mr. Gaojia will also be a Sierra Agra shareholder. Currently residing in Sierra Leone, Rachel has been working in country since 2014. Previously running an NGO, she has experience in large scale project management. After graduating from University in Leeds in 2011, she worked across the UK, Europe and USA for a multimillion-dollar retail company training senior management. Mr. Apprendi is a retired investment banker and is a private investor with prior experience in ownership of social impact commercial ventures in Sierra Leone. Mr. Apprendi has invested founders’ equity to Sierra Agra Inc., and will serve on the Board. Mr. Concari is the Managing Director of Tropical Food Machinery s.r.l., (“TFM”) based in Busetta, Italy and sole supplier and advisor of the processing equipment at the SEZ plant. TFM is also an investor in Project 10000. Sophie is responsible for creating visual and engaging content in an effort to gain publicity and support for Sierra Agra’s campaign. She has similar experience in international sustainable investment research at Columbia University’s Earth Institute. She is a recent graduate of the Environmental Studies Department focused in Sustainable Agriculture at the University of California in Santa Cruz. Founder and Director of De La Tierra Company, “Promoting Farming Communities Around the World Through Trade & Technology”. Agribusiness consultant to Sierra Agra.